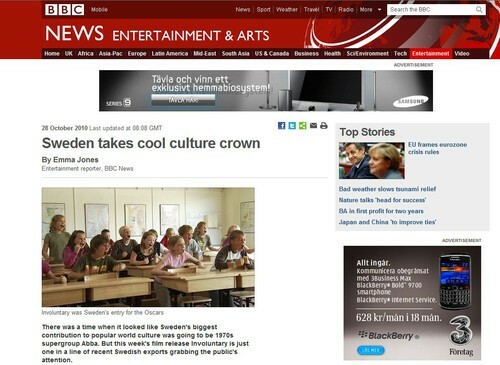 BBC: "Sweden takes cool culture crown"
The Swedish film adaptations of the Trilogy novels have also enjoyed astonishing worldwide box office success for foreign language films. The two movies which have been released so far, The Girl With The Dragon Tattoo and The Girl Who played With Fire, have taken around £100m and are in the Top 15 foreign language grossing films to date. Larsson's success has opened the door to sell other genre novels and movies, including John Ajvide Lindqvist's vampire horror Let the Right One In and Henning Mankell's world-weary detective Wallander, also a successful BBC TV series.